46-nights cruising the Caribbean, Central America and America…it’s the kind of thing that dreams are made of and Danielle offers us a glimpse into what’s on the itinerary. I always love to hate this time of the year. I like to see the frost on the ground and feel the blast on my skin from the crisp, icy mornings, but the longer those days hang around, the more tired with them I become. I suppose it’s a good excuse to head to warmer climates, so that is exactly what I am going to do. My first cruise of 2017 is just a few days away, a 46-night Southampton roundtrip voyage with Fred. Olsen Cruise Lines to the Caribbean, Central America and America, and I can almost feel the sun on my face. Our itinerary is nothing short of spectacular. There are always several impressive roundtrip itineraries this time of year and with various cruise lines, but this one really stood out head and shoulders above the rest – I couldn’t resist. So, where am I going I hear you ask? Well, my itinerary looks like this: Madeira, Barbados, St Lucia, Antigua, Tortola, Jamaica, Banana Coast, Belize City, Cozumel, New Orleans (2-nights in port), Tampa, Key West, Miami, Port Canaveral, Jacksonville, Charleston, Bermuda and Ponta Delgada. I’ve heard the words “jealous”, “lucky” and “I hate you” several times in recent weeks – the rest can’t be repeated – so I’ll understand completely if you suddenly feel the need to exercise your right to free speech. One of the biggest highlights of the cruise is New Orleans. An exciting destination any day of the week, but even more so during Mardi Gras and we are going to be right there in the middle of it. Literally. 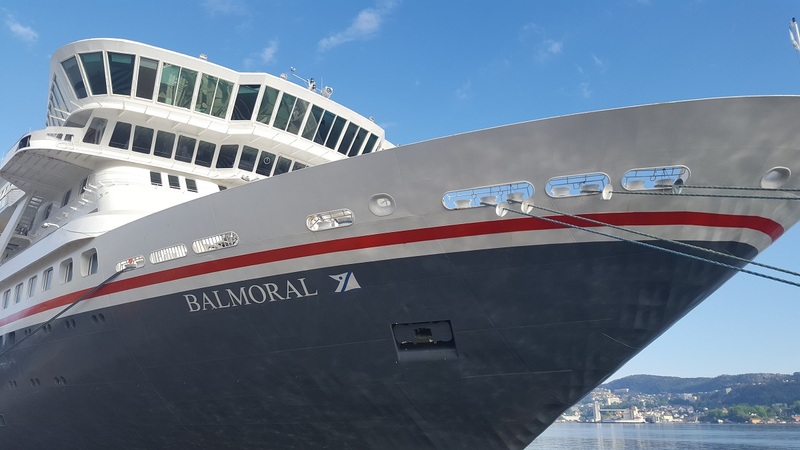 Balmoral will remain alongside at the Erato Street Cruise Terminal for 2 nights, allowing her guests to enjoy the Lundi Gras Festival in the French Quarter (the day before Mardi Gras) and Mardi Gras. Other notable highlights include the Kennedy Space Center in Port Canaveral, the Lamanai Maya ruins in Belize, a Miami city tour, Dunn’s River Falls in Jamaica and the Tet Paul Nature Trail in St Lucia. I don’t want to give too much away with regards to what I am doing in every port – I like to keep some surprises – but I can tell you that up to now I will be going back to the Kennedy Space Center, I visited last year and it was fantastic. I highly recommend it, even if you’re not a Space fan. I’m going to enjoy relaxing beach days in Tortola and St Lucia. And I will be sailing back in time to the Lamanai Maya ruins in Belize. There were three Maya options for Belize: Lamanai, Altun Ha and Xunantunich. I decided on Lamanai as I thought the journey there also sounded exciting: a boat ride along the New River, traversing many small creeks and lagoons, and with the chance to spot some local wildlife such as crocodiles and howler monkeys. This ‘Central America and the Mardi Gras’ cruise will be my third sailing aboard Balmoral in less than a year, I just can’t seem to stay away from her. For me, she is the ideal size, especially for a lengthy voyage such as this one, and she seems to tick all the right boxes: great food, spacious and well-appointed cabins, friendly crew, and wonderful open decks that are ideal for sun soaking. I’m looking forward to calling her home for the 46-nights. I will be updating live throughout the voyage on Facebook and Twitter, so make sure you stop in every now and then for an update.